Stop in any time of day at Temple Adas Shalom, and you’ll discover that we are teaching and learning. Our education program is led by an enthusiastic team of early learning teachers, Rabbi and lay leadership, our own community volunteer educators, as well as committee members and guest speakers. We’ve got something for every age group and interest. From our Early Learning Center to a bustling Religious School to our dynamic adult education program, Temple Adas Shalom is the place to be for Jewish learning. The HJC Early Learning Center is an early education facility open children aged 2 to 5 years old. We provide a loving, safe, and nurturing home away from home – a sacred space where young children and their families enjoy a blended curriculum. HJC Early Learning Center will make a difference in the foundation of your child’s future. Come see for yourself! To live fully as a Jew requires knowledge of our history, tradition and observance. Just as important is a secure emotional bond to our religion, our people, our heritage. The educational programs at Temple adas Shalom integrate experience and knowledge, nourishing both heart and mind. Education is Temple Adas Shalom’s foremost commitment and is demonstrated by providing a quality Jewish education to our Jewish youth. We host a faculty of committed Jewish educators chosen for their ability to inspire students with a love of Judaism, while imparting skills necessary to become active and knowledgeable Jews. Temple Adas Shalom embodies Reform Judaism’s commitment to strengthen the fabric of Jewish life and ensure the future of Judaism and the Jewish people by offering a curriculum that is both age-appropriate and pedagogically sound. Temple Adas Shalom’s commitment to life-long education extends throughout adulthood. Each year, we offer Melton courses as well as individual speakers and programs. Classes are taught by the Temple’s professional staff and other experienced Jewish professionals and lay people from our own congregation and the Jewish community at large. 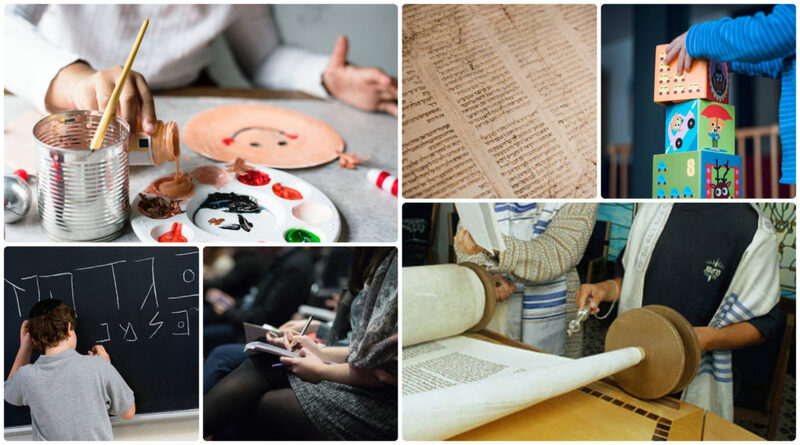 We are pleased this year to offer a variety of classes, guest-speakers, and programs to help you continue learning and exploring your Jewish faith. Take advantage of learning with other adults! Don’t miss out on these exciting offerings!